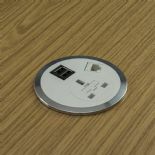 Our standard power grommet is available in a variety of power and data configuration offering users a smart and flexible option to access power and data within the workplace. 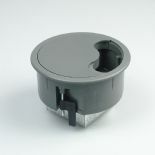 The unit is available in either black or grey and features a strong construction and built in fixing clamps for easy and secure installation. 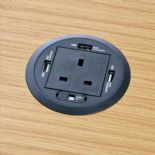 the euro collar models can be fitted with any non standard euro size socket to make these power grommets one of the most versatile units in its class. 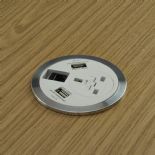 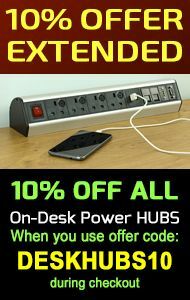 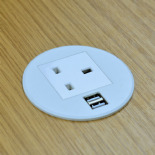 this range also offers a larger twin switched socket and two data model that makes this range capable in any office environment (data modules and euro size sockets sold seperately).